The setting: Sarasota, Florida, this past Monday afternoon. Chuck Redding, a 75-year-old gay man, notices an SUV following him closely. While he shrugs the car off at first, thinking it’s little more than a tailgater, Redding—whose car has both a rainbow flag and HRC bumper sticker—realizes that isn’t the case after the driver follows him all the way home. “I knew something was wrong,” Redding told Tampa’s WFTS local station. 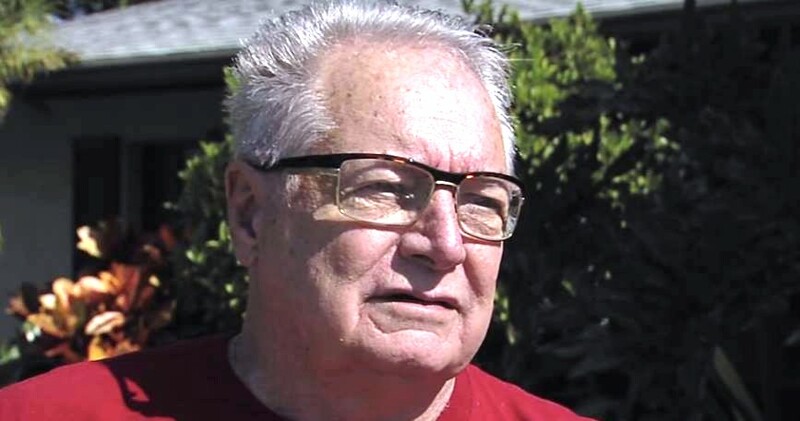 Redding was smart enough to park his car at a neighbor’s to ensure the man didn’t uncover which home was his, but after he parked, Redding says the assailant sprung from his SUV, pounded on his driver’s side window, got into his car and pulled him onto the pavement. “He yanked the door open, dragged me out, ripped my shirt,” Redding says. Luckily for Redding, who suffered a bruised arm, a sliced-open hand and a scraped knee in the attack, his neighbor witnessed the attack from inside his home and was able to chase away the attacker, who reportedly sped off before they could obtain the license plate. Redding, a former florist who currently wraps presents during the holidays for extra income, is one of many LGBT individuals who have been assaulted following our recent national election (see here, here and here), and it’s no exaggeration to say that coverage of a wave of hate crimes has taken over LGBT news outlets. The Advocate reports there have been at least 400 incidents (!) since Nov. 8. Redding tells Gay Star News that he refuses to take the LGBT bumper stickers off his car. “In fact, I’m going to look for a larger sticker,” he says.